4 Fundamental Results – Guaranteed! I fell in love with horses when I was 5 years old! 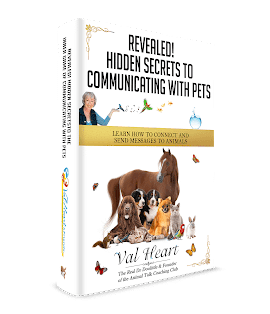 Although I have worked with all animals for most of my professional animal communication, behaviorist and healer life, I actually got my start working with performance and show horses using animal communication to helping them compete more successfully.Horses have always been near and dear to my heart. And today, it gives me great pleasure to work with these amazing athletes, who have unique and special needs and challenges.We ask a lot of our performance and show horses, but often don’t take nearly enough time to listen to them, understand them, and help them when they need help. Horses live long lives, and most folks intend to give their horses a forever home. After all, our horses are a largelisa avery cuts cows like a champion after learning how to talk to her horse part of our lives and we spend a great deal of time, energy, money and effort on their behalf.But the fact is that millions of horses are purchased or trade hands every year, and most of these amazing animals wind up moving on from one owner to the next, until they are at the end of their lives and on the auction block. Through no fault of their own, they either weren’t the right horse for the job, they were outgrown, abused, or injured, or were simply misunderstood and mishandled so they became horse nightmares.People don’t mean for things to go wrong with their horses. All horse lovers feel the same way about this. But things do go wrong, all the time. “I can’t believe that only a year ago, my Grand Prix Dressage horse was terribly ill. The vets couldn’t figure out what the problem was, he was so sick they wanted me to put him down. You helped us communicate with each other, and Libero told you how he was feeling, where the pain was coming from, and that he wasn’t ready to leave yet! The vets thought his career was over but Libero didn’t agree with them. Thank God I listened to you. Now, against ALL odds, Libero and I are back in training, working towards completing our titles. We are actually showing again! I can’t thank you enough, Val. I really feel like I have been through a magical experience with you and my horse! “Val gave me such great advice and clarity for my life, helped me improve my health, and also made such a difference with my horse, Aries, that we swept into the dressage shows and won a whole pile of blue ribbons — in only 6 months! I can’t believe I was on the verge of selling Aries and giving up on him only a short while ago… now, we are excited to see each other and are winning almost every show we enter. We’re both healthier, too, and that mystery lameness Aries had? Now I know where it’s coming from, what to do about it and what my contribution to the problem actually is. Awesome! Give your horse a chance to tell you what they need and why they are behaving the way they are. Then, we can determine the best way to help them rebalance, heal, learn and perform to the best of their ability.